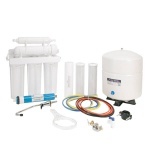 Post filtration, carbon filter to polish the purified water going to your faucet. 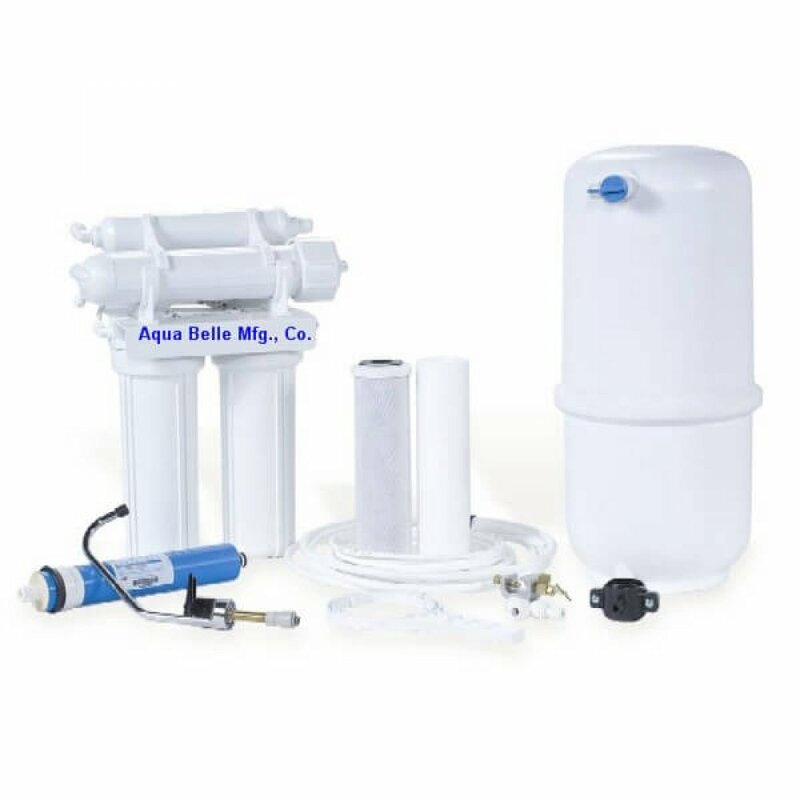 This Basic Aqua Belle RO unit is designed specifically for chlorinated municipal water applications. 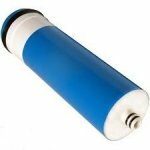 It is capable of producing up to 35 gallons per day of high quality water for a fraction of the cost of bottled water and with none of the hassles. 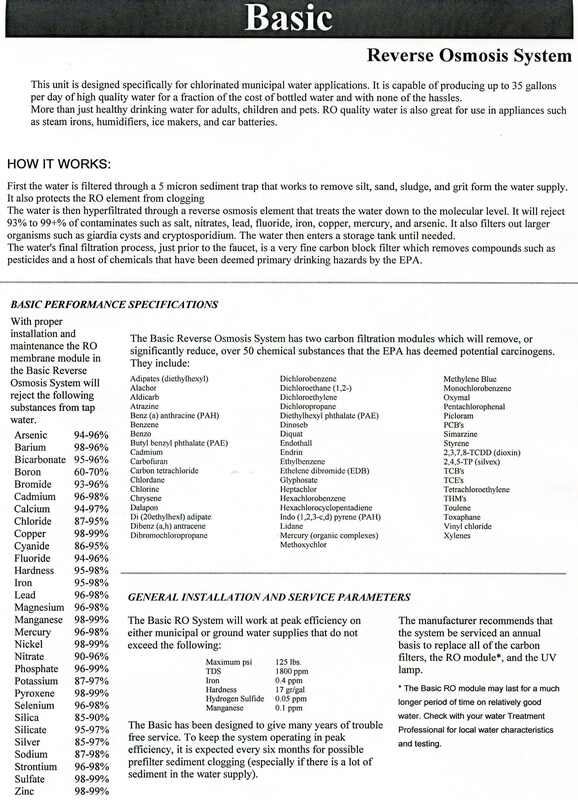 More than just healthy drinking water for adults, children and pets. 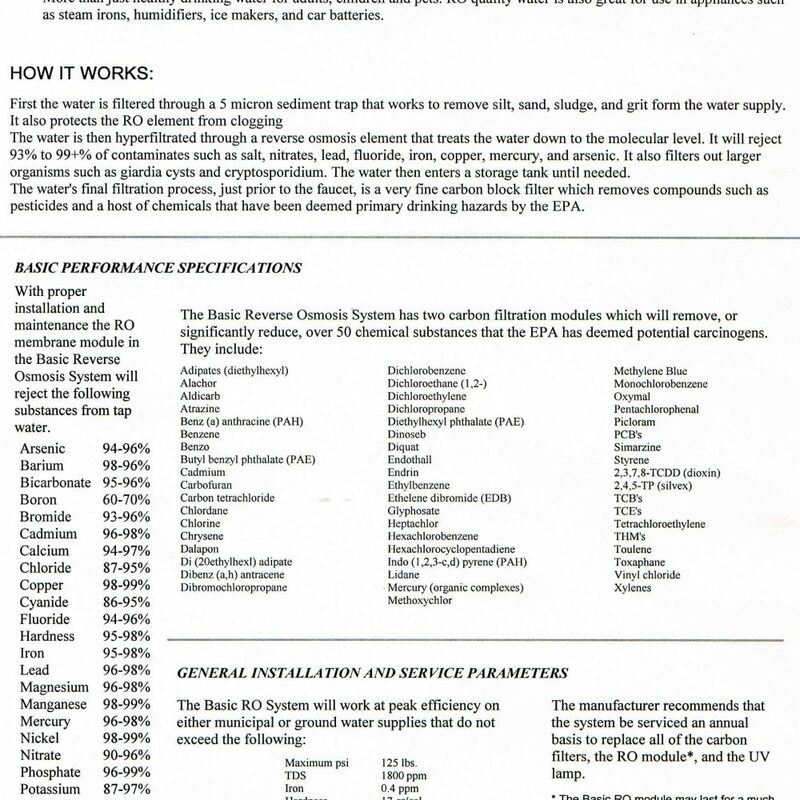 RO quality water is also great for use in appliances such as steam irons, humidifiers, icemakers, and car batteries. It’s better for your pet’s drinking water too.